A Postcrossing post card from Katrina in Gernany. 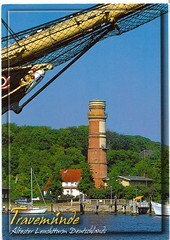 Katrina lives in a small town near the Baltic Sea which has the honor of having the oldest lighthouse in Germany, built in 1539. She works in a kindergarten.